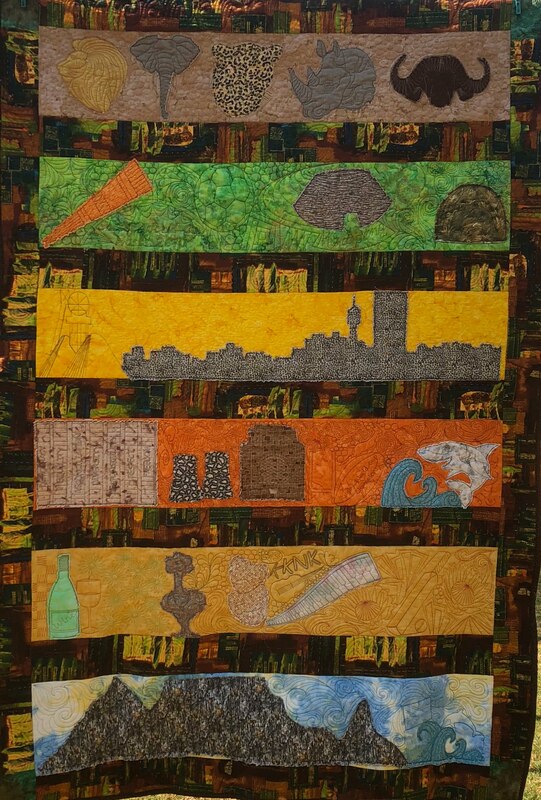 Here you can see some of my work as a patchworker, quilter and client quilts that I have stitched through. I explain the significance of some in greater detail. 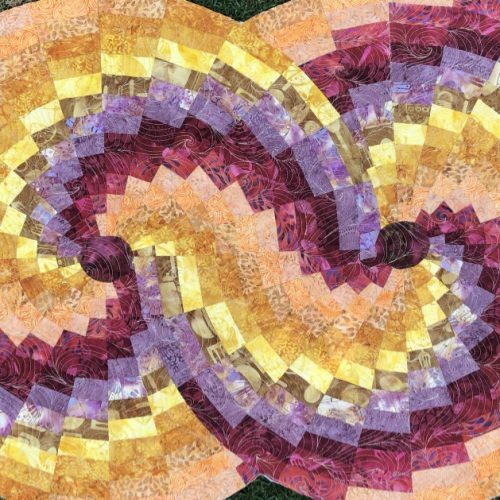 Every quilt has an impact on myself as a quilter and as a human being. 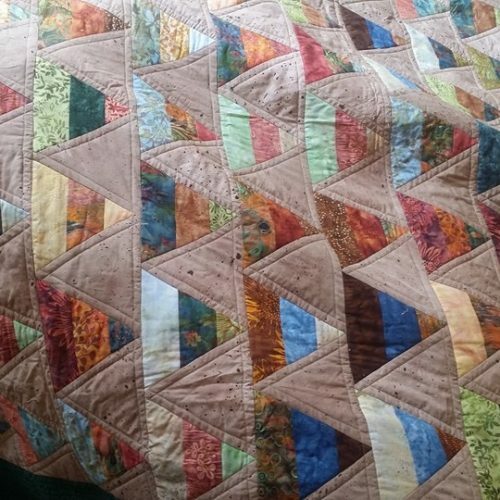 Some of my own quilts have stayed at home, others have gone to friends or family, and yet more have been sold to admirers. 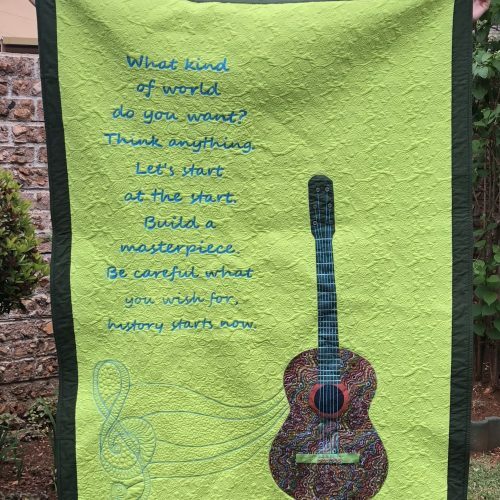 Music for Nathan is a quilt I made for my son. He loves music, and his only requirement was that I use lyrics from Five for Fighting. The guitar is a trace of my own – originally I drew it out on EQ8, but lost the file when I reloaded my laptop! The appliqué was done using appliqué paper and worked with a blanket stitch using my sewing machine. The fabric has the look of African beadwork, and I did couching for the strings. Buttons finish the detail of the guitar. 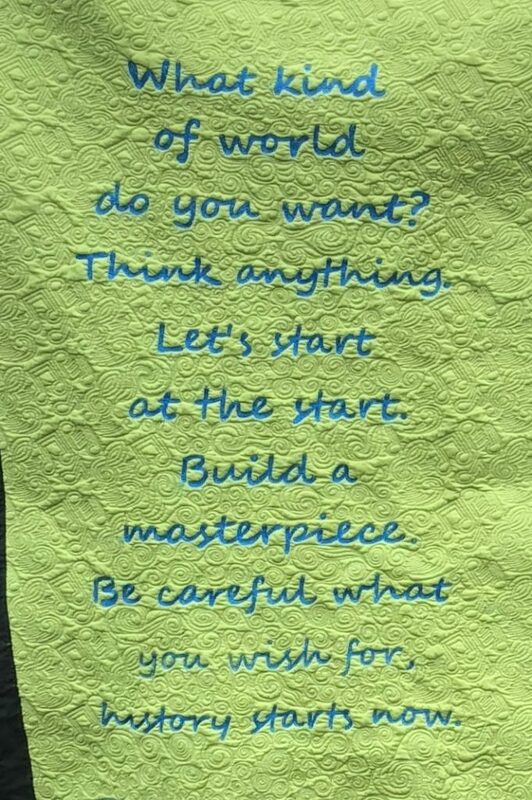 The words were outlined using computer software and then manually guided to colour with thread. 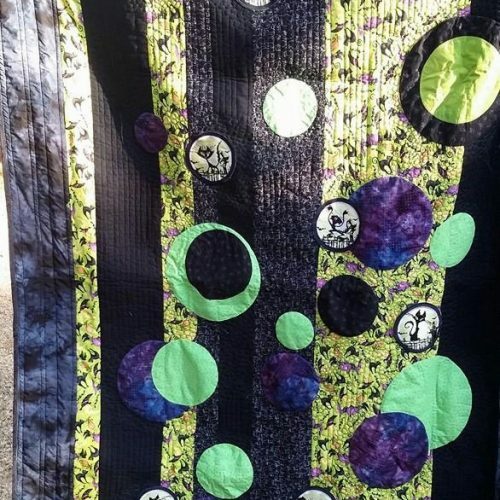 It is very dense, I used four bobbins before deciding it was enough – I could easily have carried on with that! 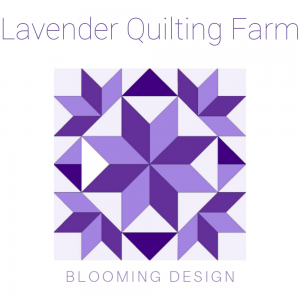 Finally, the negative space is filled with a pantograph and some free motion quilting. 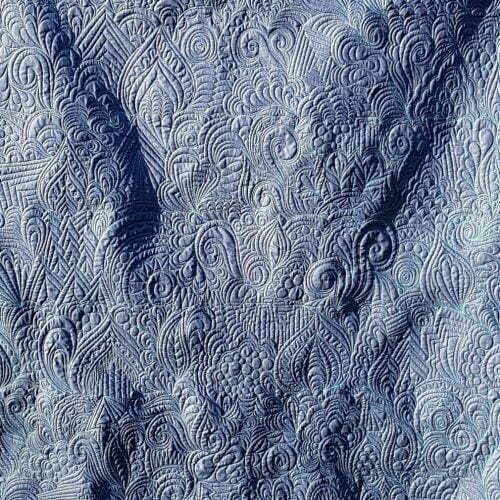 The guitar is also quilted. 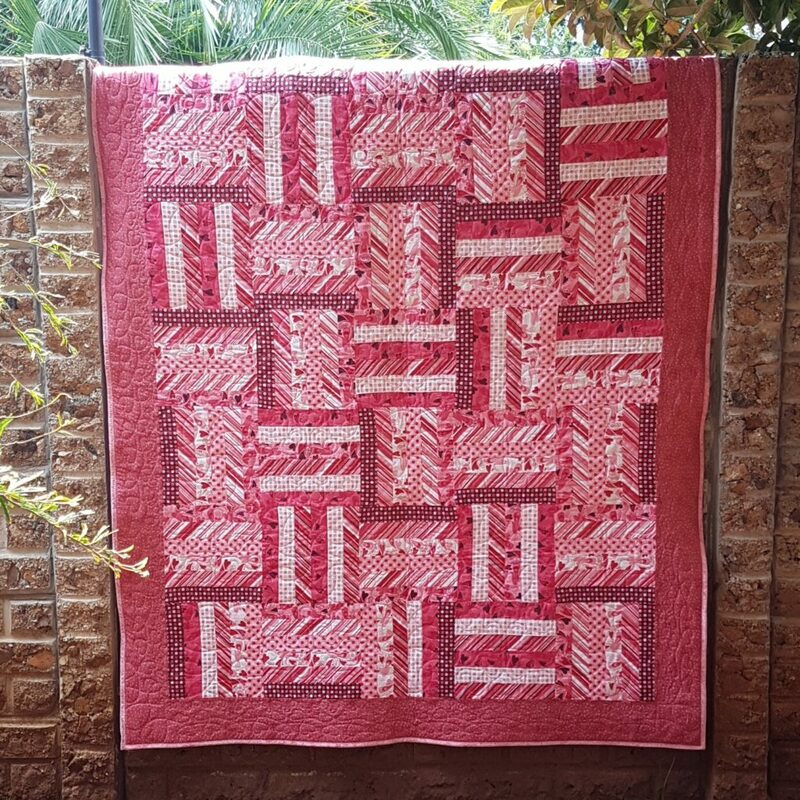 I am particularly proud of this quilt. It is a completely original idea and shows some of the favourite tourist attractions in the country. 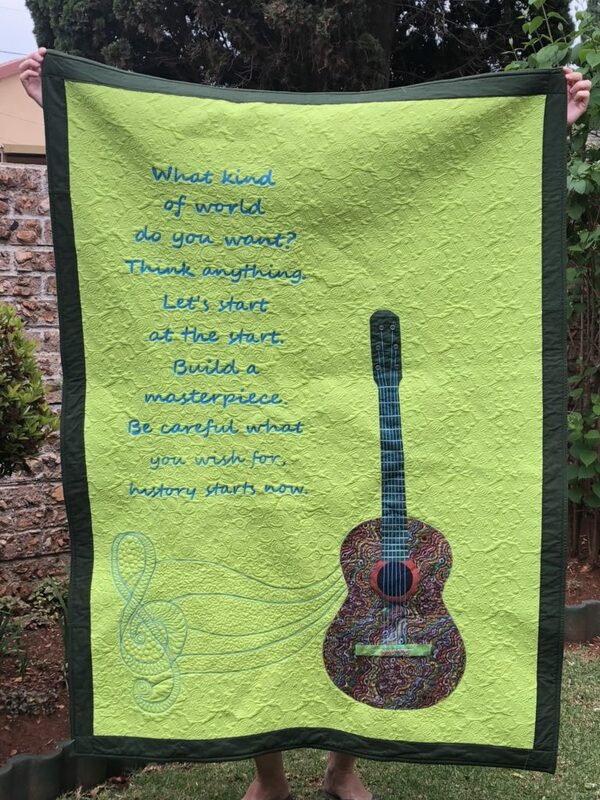 You can read the story behind the quilt here. 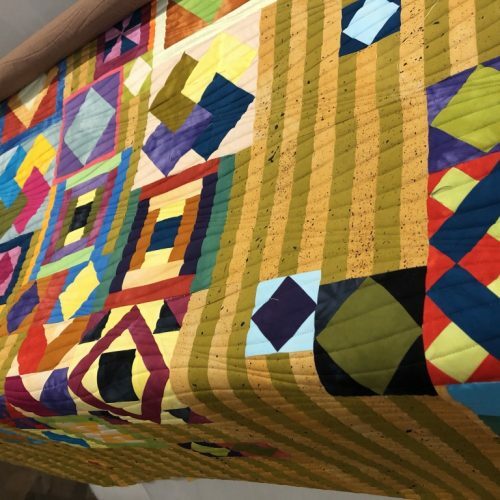 My daughter’s quilt is the first one to be on show out of the graffiti quilts I made using Karlee Porter’s all over design. I have written a review on the design. 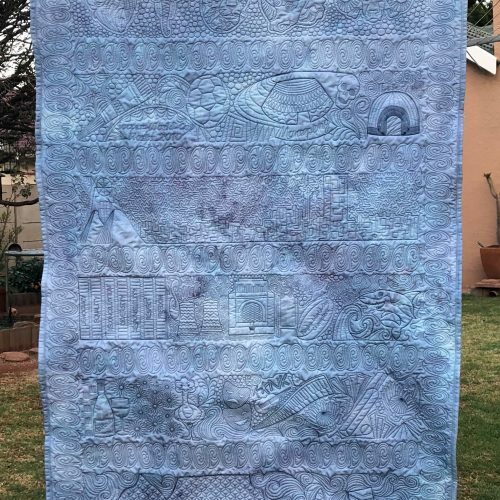 This quilt was made completely in one day, and you can read how to in the blog post. Macbeth and halloween. Shakespeare’s “double, double toil and trouble; fire burn, and cauldron bubble” – describe the actions of casting the spell in the first line and boiling up a potion to make it work in the second, to ensnare Macbeth’s soul. The cat embroidery designs are from Kara’s Kreations. 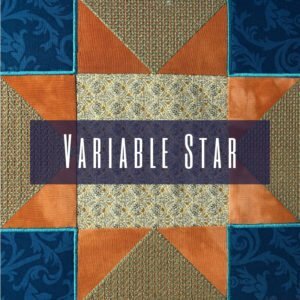 The design was a random one – I had embroidered the designs and then started putting the quilt together. The appliqué “bubbles” were added to further the cauldron bubble idea, and I had the stunning fabric of witches and brooms in my stash. From there it simply came together, and is a favourite in the house. Proudly displayed on the pool table for visitors before they start their game. 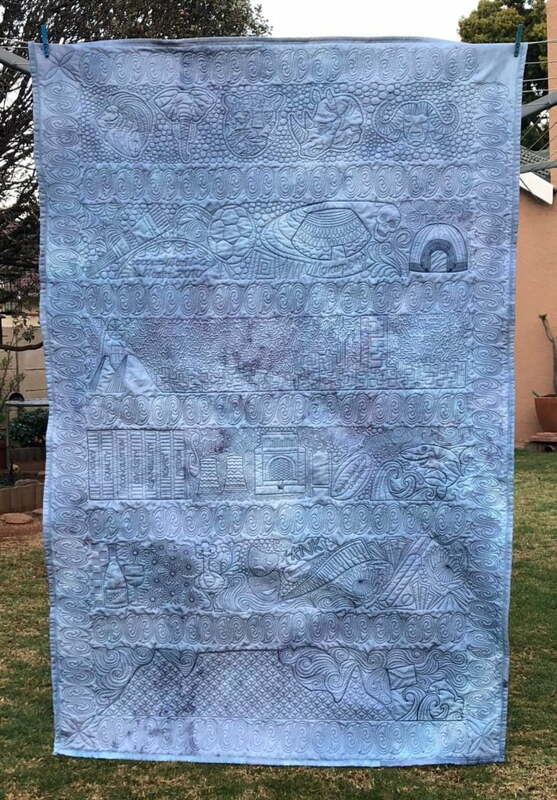 This is one of my earlier quilts, though the pic was taken recently! Our basset wanted in on the action of the moment. 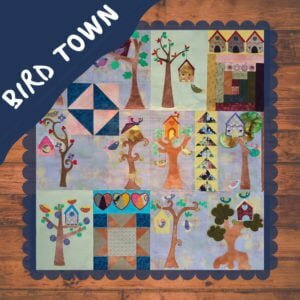 The embroidery designs are available from Embroidery Library. 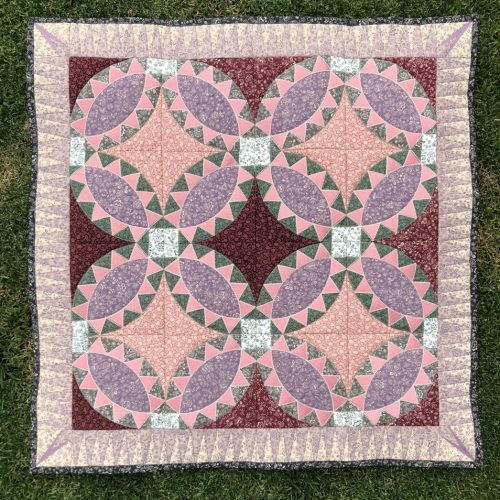 Read about this quilt in this blog post, including a tutorial on how to make your own. 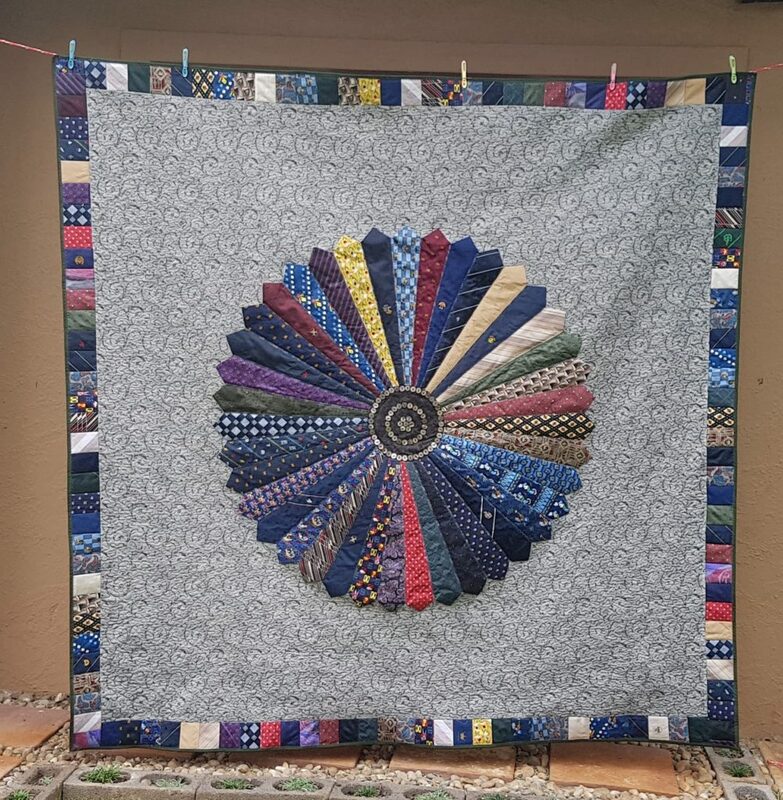 It was made from old neck ties from my father, father-in-law and my husband. This is a really nice way to memorialise special people. 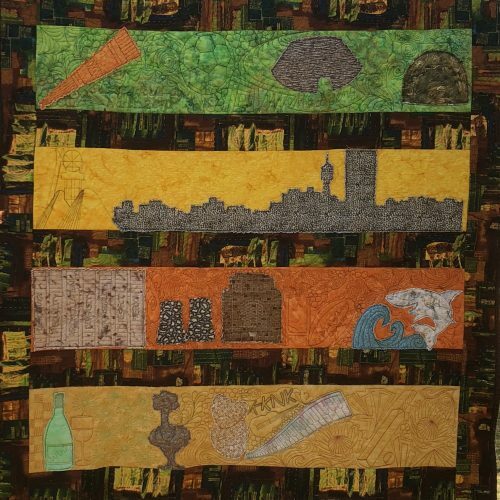 This quilt will be in the family for generations to come. 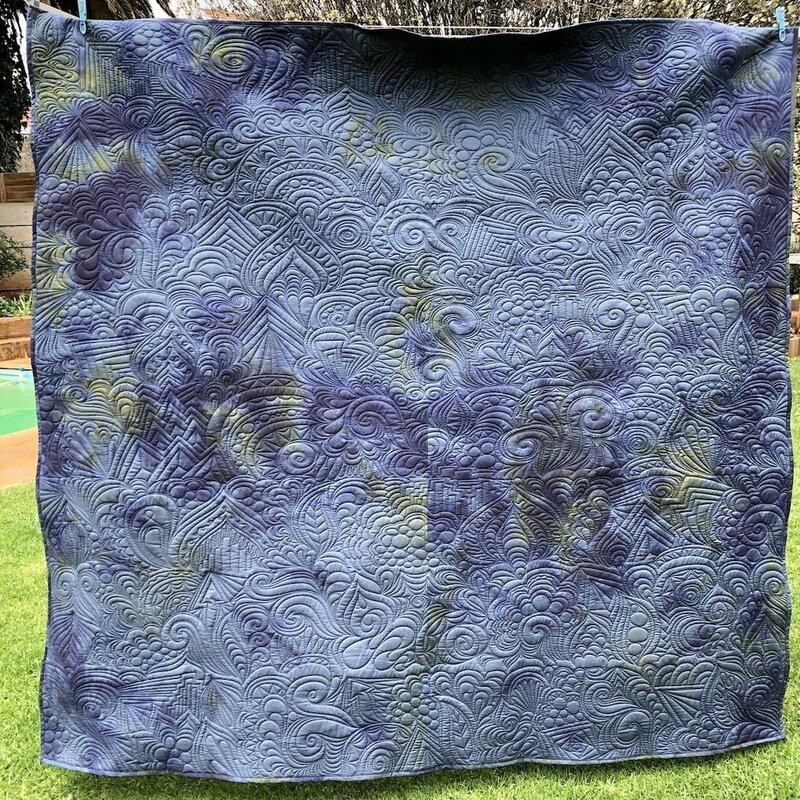 This is an example of a dye surprise and how beautiful it looks with Karlee Porter's all over graffiti quilting.